Scott Ramon Seguro Mescudi (born January 30, 1984 in Shaker Heights, Ohio, United States), better known by his stage name KiD CuDi, is a Grammy award nominated rapper and singer who first gained attention after the release of his debut mixtape a KiD named CuDi which he released in collaboration with New York street wear brand 10.Deep. The mixtape caught the attention of Kanye West and led to Cudi's signing to the G.O.O.D. Music Label. His debut album, Man on the Moon: The End of Day, was released September 15, 2009. The album has since been certified Gold by the RIAA for shipments of over 500,000 copies in the US. His second studio album, Man On The Moon II: The Legend Of Mr Rager, was released on November 9th 2010. Kid Cudi was born in Cleveland, Ohio and lived in the diverse upper class suburb of Shaker Heights. Just prior to receiving his GED he attended Shaker Heights High School in Shaker Heights, Ohio and also Solon High School in Solon, Ohio. Cudi first began rapping towards the end of high school, inspired by alternative hip hop groups such as The Pharcyde and A Tribe Called Quest. He moved to Brooklyn, New York to pursue a music career. In July 2008, Kid Cudi released his first mixtape, A Kid Named Cudi, in collaboration with New York street wear brand 10. Deep as a free download in 2008. The mixtape has had so much continued success that on May 18, 2009 10.Deep announced they were going to be doing a re-release of the "Up There" t-shirt and hard copies A Kid Named Cudi mixtape in their webstore on May 20, 2009 at 12:00 PM EST. Shortly after the shirt went up for sale the server crashed due to heavy traffic of fans wanting to buy the t-shirt and the mixtape. Kid Cudi has a guest feature on Kanye West's 2008 album, 808s & Heartbreak, singing with him on the track Welcome To Heartbreak, providing additional vocals on Paranoid with Mr Hudson and helped with songwriting on the second single Heartless. A music video has been made and released for Welcome to Heartbreak with him in it. He also featured on the song Welcome 2 the World with Kevin Rudolf from his album In The City, and on 88-Keys debut album The Death of Adam on the track Ho' is Short for Honey. He has been featured in many medias such as XXL and BBC News's Sound of 2009 poll of up-and-coming acts. He has also been featured in Vibe, Complex, The Source, Rolling Stone, URB and Interview magazine. Kid Cudi first appeared on shows in 2008, when he performed at the 2008 VMA's alongside Travis Barker and DJ AM. On February 17, 2009, Kid Cudi made his TV debut on Snoop Dogg's new MTV talk show Dogg After Dark, performing Day 'n' Nite at the end of the show. Two days later on February 19, 2009, Cudi appeared on BET's 106 & Park with Kanye West to debut the video of Day 'n' Nite . On March 16, 2009 Kid Cudi performed on mtvU's 2009 Spring Break special. On March 17, 2009 Cudi appeared on Last Call with Carson Daly where he performed three songs. Kid Cudi has also made cameo appearances in Solange's video for her song T.O.N.Y. and in the Black Eyed Peas video for I Gotta Feeling. 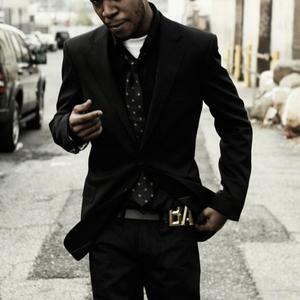 Kid Cudi, along with Emile, produced an exclusive single called "Switchin Lanes" for the video game Midnight Club: Los Angeles, part of its "South Central Premium Upgrade" Downloadable Content (DLC) which came out March 19, 2009 for the PlayStation 3 and March 27, 2009 for the Xbox 360. He contributed to the soundtrack for Capcom's Super Street Fighter IV: Arcade Edition. The game will be released on June 24 2010.